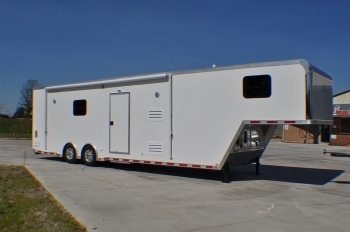 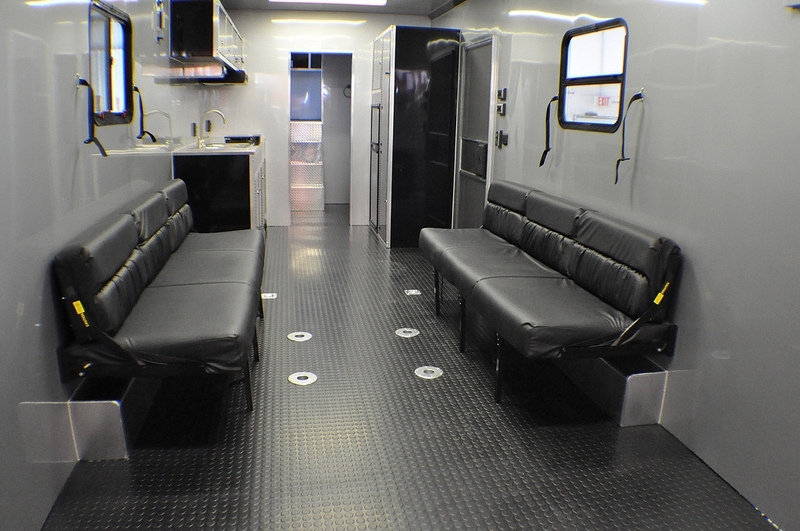 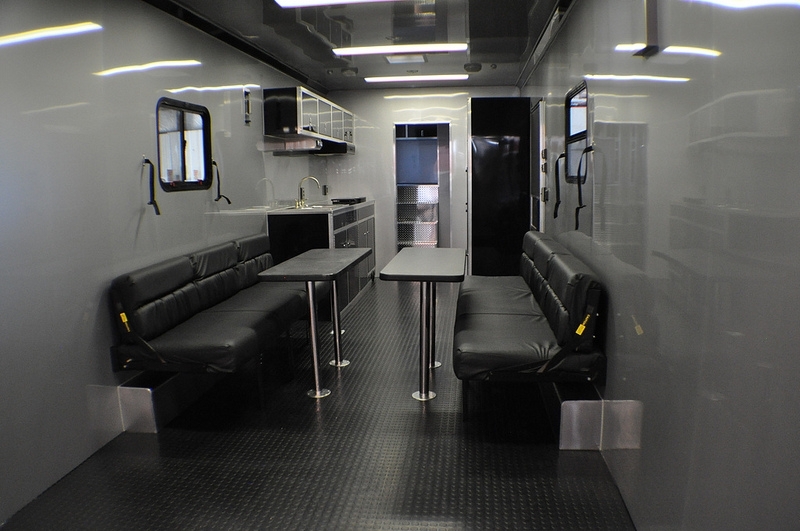 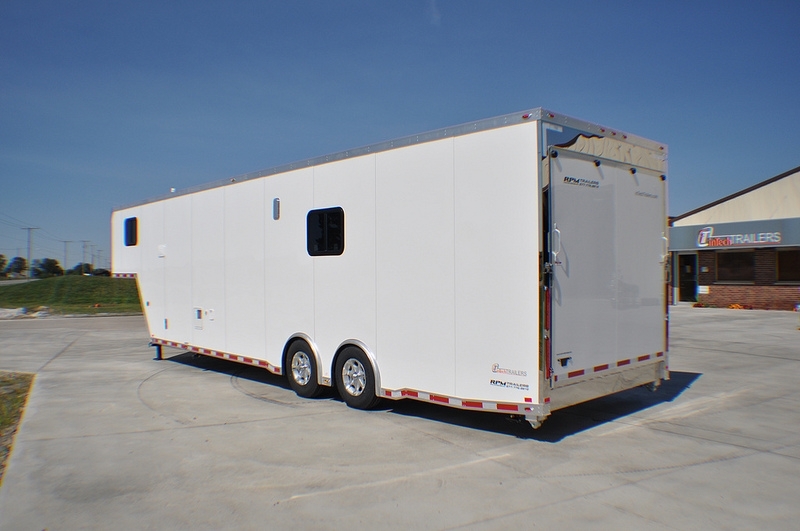 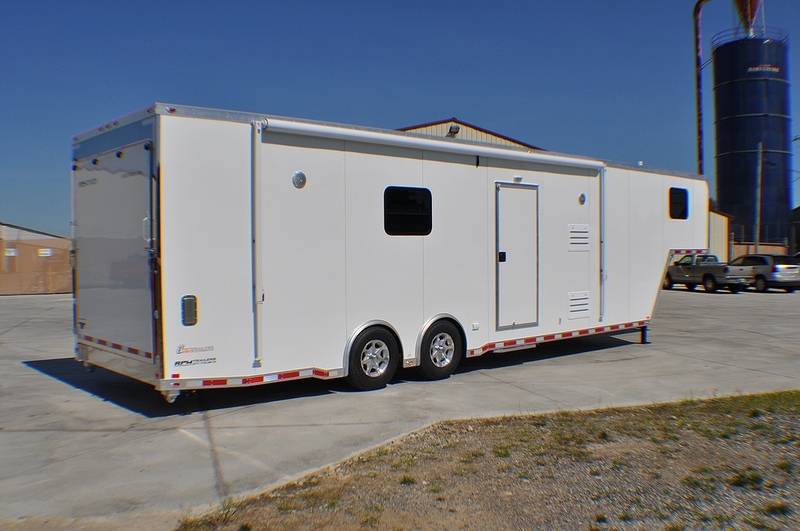 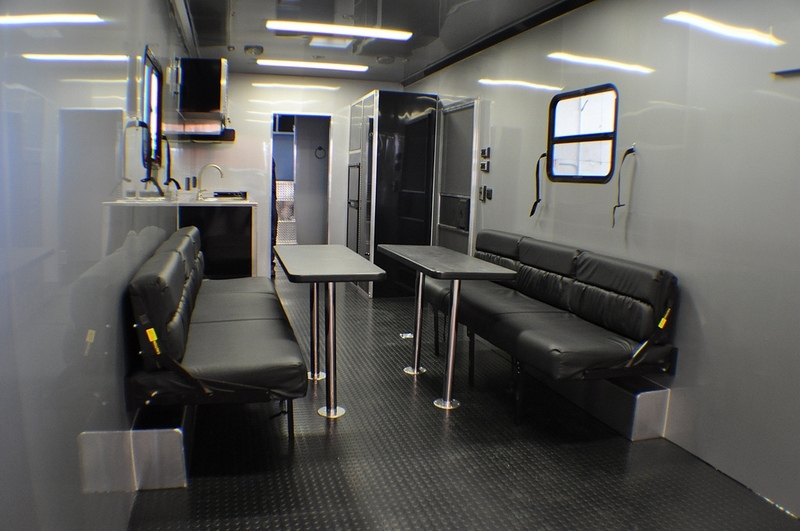 This 38' Living Quarters gooseneck trailer was designed to transport a family to the motocross track for weekend events. 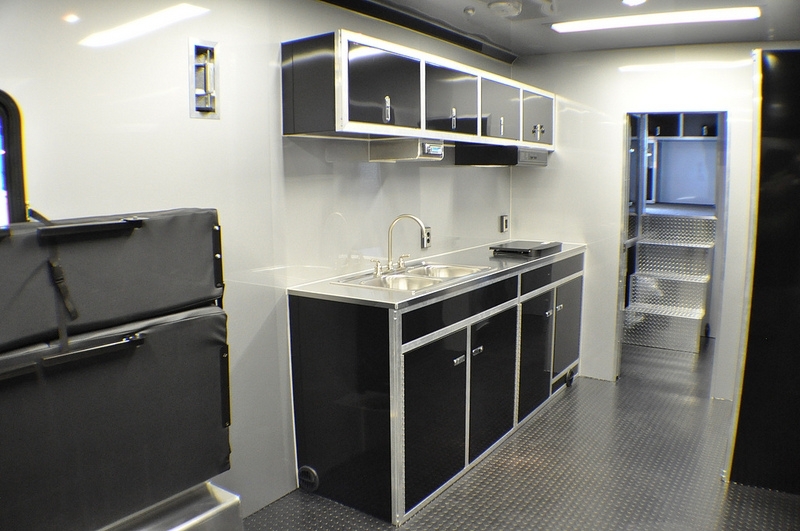 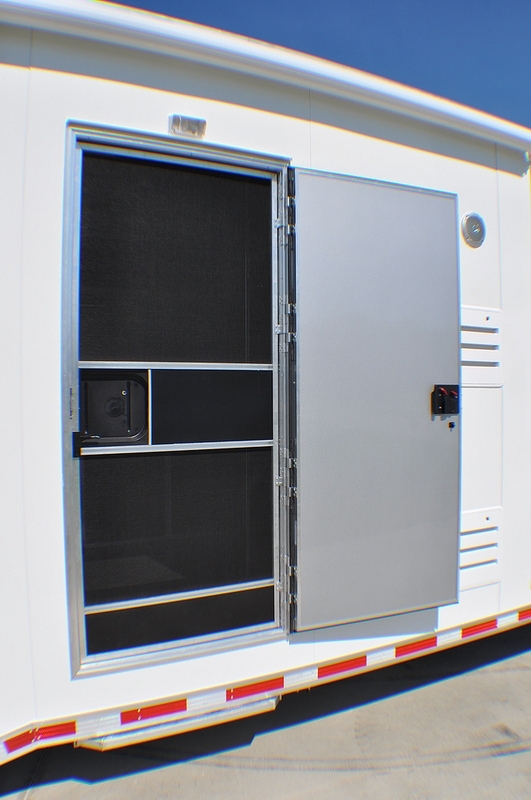 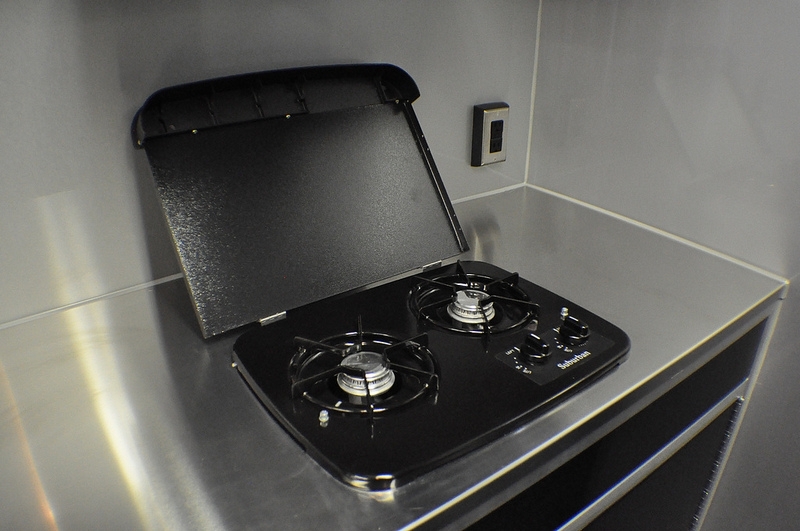 All of the cabinetry is done in a lightweight aluminum giving the trailer a modern appearance over the more common wood cabinets found in typical living quarters trailers. 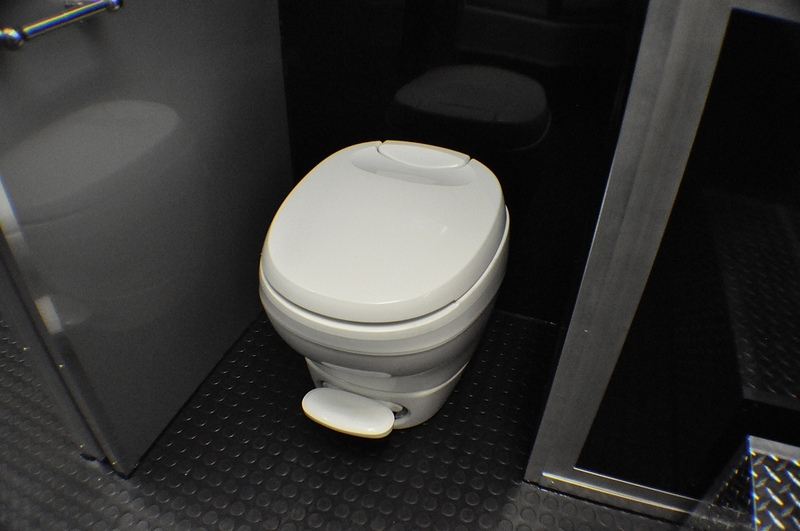 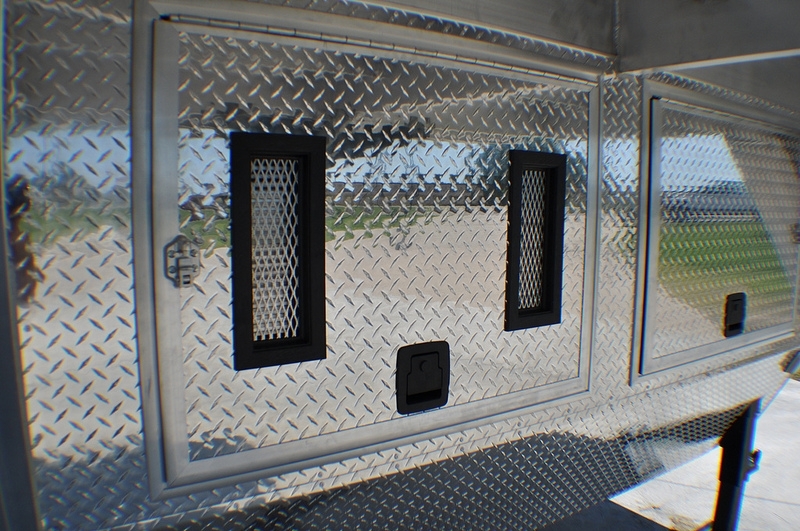 RPM Trailer Sales sells the best quality in all aluminum living quarters trailers. 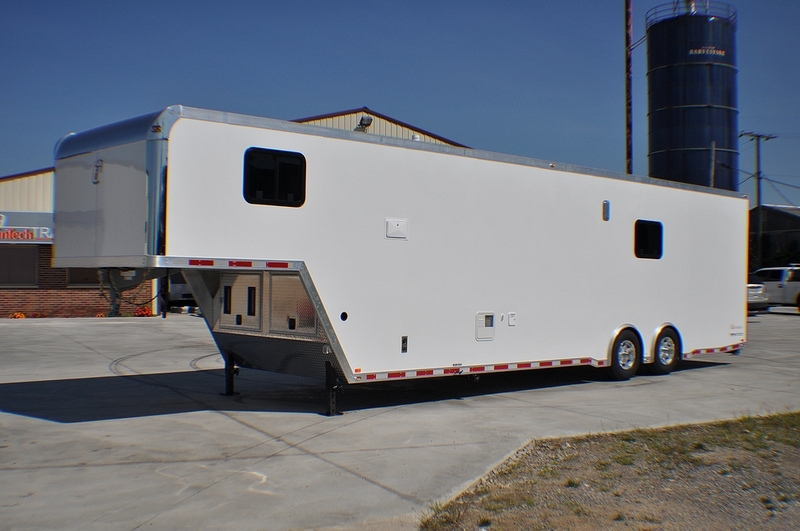 Our Gooseneck race trailers are designed to work for your specific needs and wants. 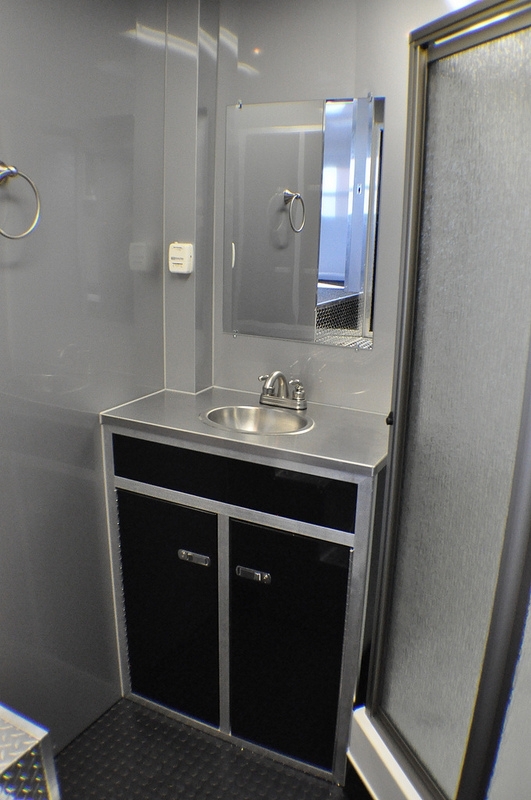 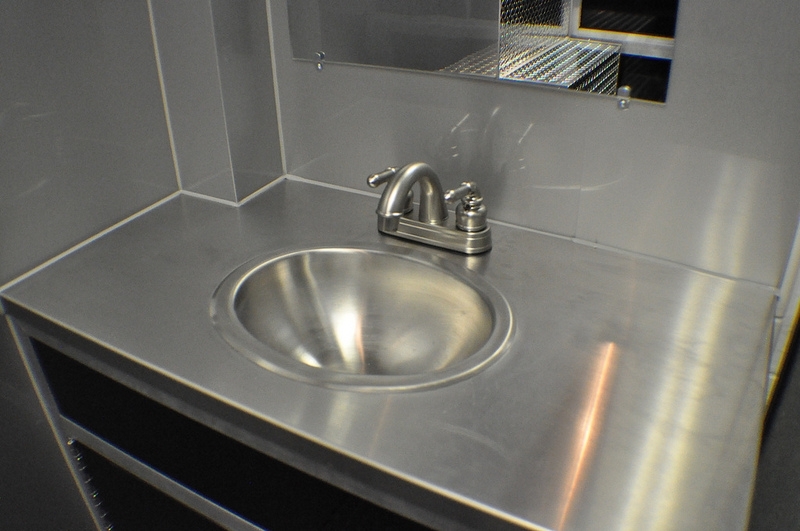 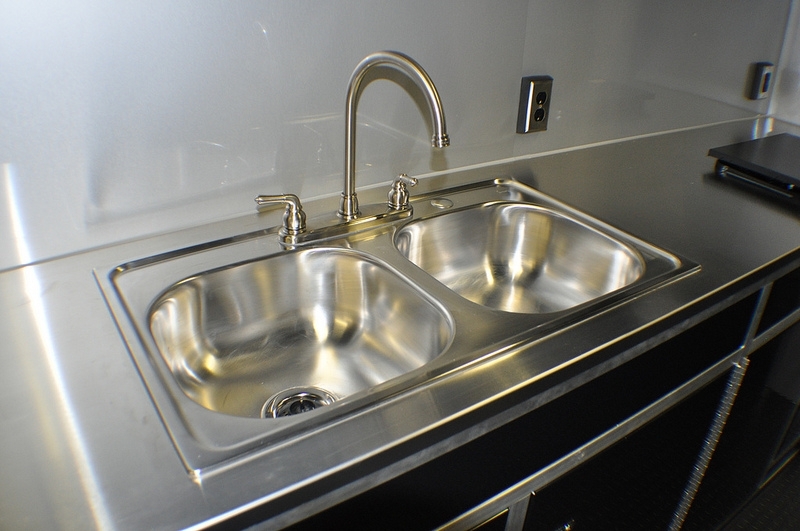 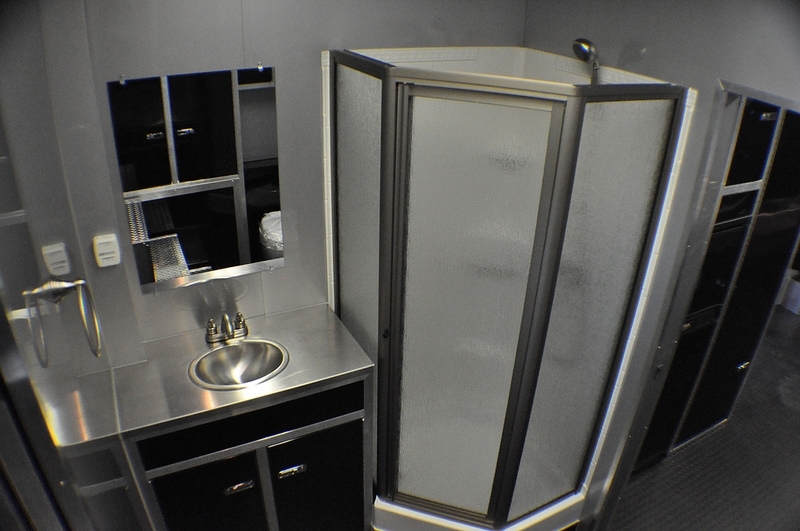 Take a moment to browse the images and see for yourself the quality you get with our custom Living Quarters Trailers.